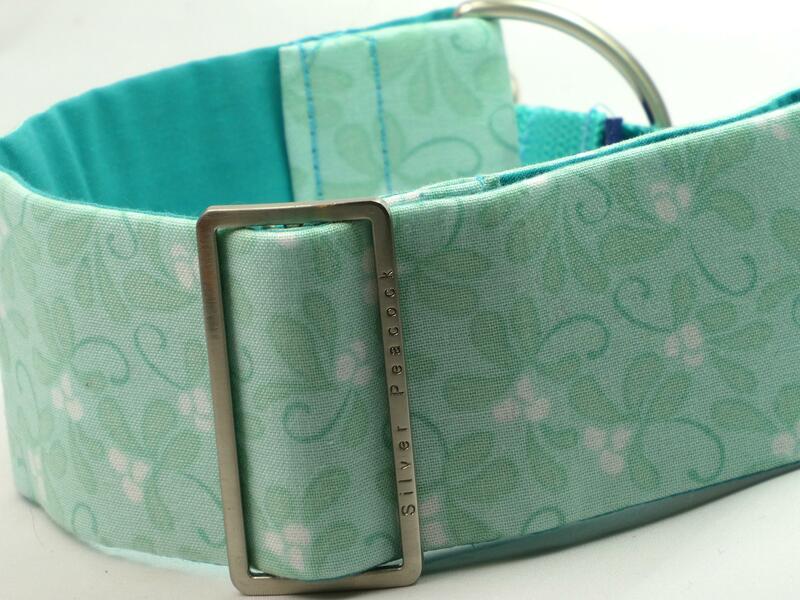 Another more unusual design for those looking for something a little different! 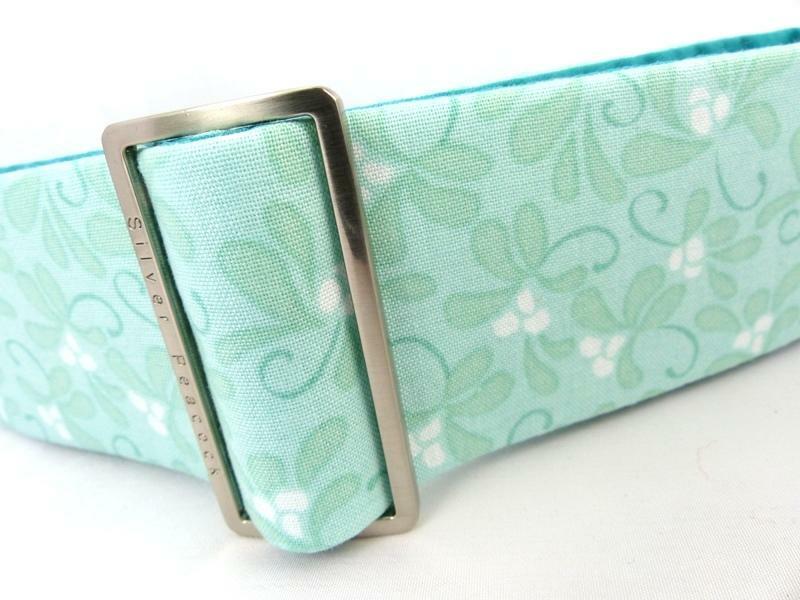 An unusual but chic mint coloured designer cotton print with a lovely, delicate mistletoe design. 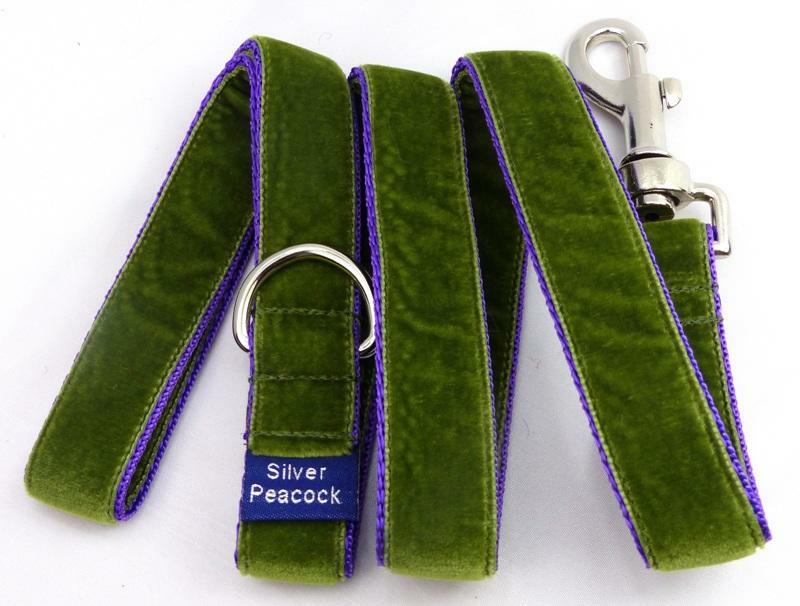 The collars are lined in complementary jade green fabric and finished with our signature robust hardwear. 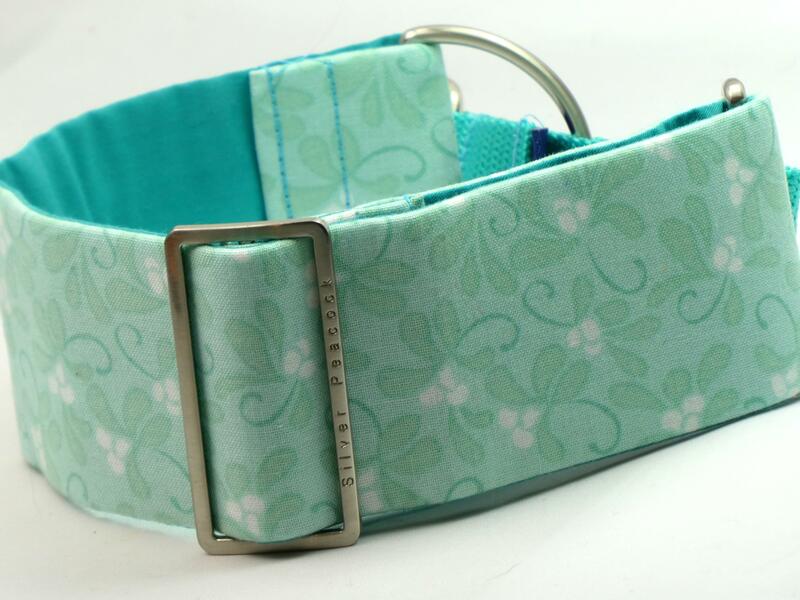 The martingale version has a teal webbing section.